Optical mirrors have a smooth polished surface used for reflecting light. The reflective surface of the optical mirror usually has a thin coating to enhance its reflectivity. Industrial Optics can custom manufacture both Plane and spherical curved mirrors in almost any configuration or material type based on your requirements. We offer both precision optical mirrors and commercial optical mirrors. 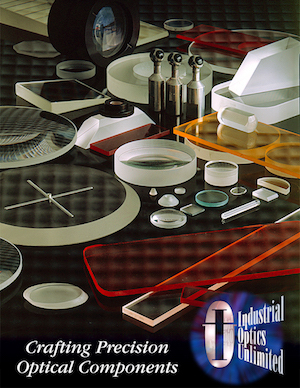 Industrial Optics can support your custom optical mirror requirements at a competitive savings to standard catalog pricing while providing great quality and exceptional customer service.